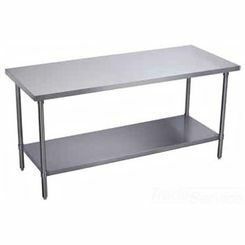 At PlumbersStock, we have a large selection of commercial food prep tables for you to choose from so that you can get the best stainless steel table for your needs. 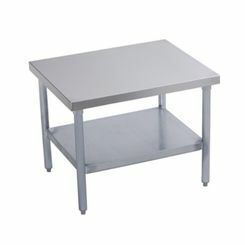 Also commonly referred to as restaurant work tables, they are ideal for work efficiency and cleanliness. We carry all kinds of commercial products from manufacturers you trust, like Elkay. 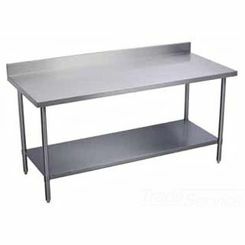 Of course, you are going to want something strong enough to sustain an immense amount of wear and tear, which is why these restaurant prep tables are typically made of stainless steel. 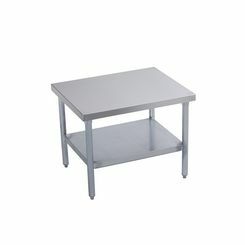 One feature you will want to look for, and most of our products carry it, is NSF certification which signifies that the work table is adequate and safe for food service applications. There isn't a lot of variance between all the different options. The most important thing is to get the size you want with NSF certification. Assembly will be required for most everything we have, but that allows for cheaper shipping. 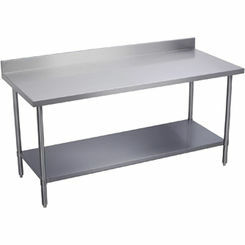 Update your kitchen with only the best, and get it here at PlumbersStock at discount prices. Save even more on your food prep tables by buying in bulk. If you have any trouble locating what you need, please hit us up on chat.